Fathers who have been warned to quit smoking for their family’s health now have a new reason to heed that parenting advice: their child could suffer symptoms of dependence. Canadian researchers polled 1,800 preteen children on their health and behaviors, including whether they were regularly exposed to second-hand smoke. They discovered that 5 percent of the respondents who reported smoking exposure also reported symptoms of nicotine dependence, even though they did not smoke themselves. These symptoms could include a depressed mood, sleep problems, irritability, concentration difficulties and anxiety, among others. "These findings support the need for public health interventions that promote non-smoking in the presence of children and uphold policies to restrict smoking in vehicles when children are present," commented Dr Jennifer O’Loughlin, senior author of the study. Figures from the American Lung Association reveal that as many as 21 million children live in homes in which a family member or visitor regularly smokes. 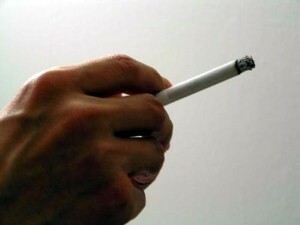 The organization also reports that secondhand smoke is the cause of hundreds of thousands of lower respiratory tract infections each year among children who are under 18 months of age.